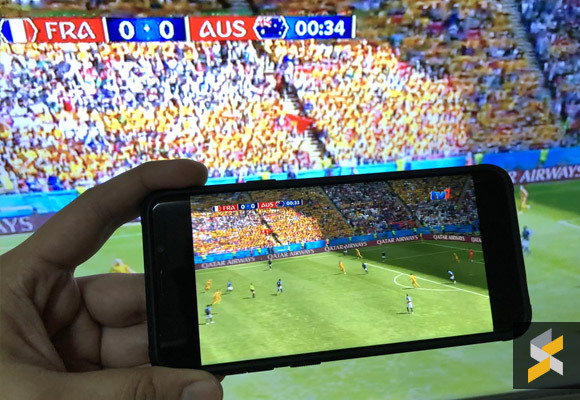 Prefer to watch the 2018 World Cup on a bigger screen instead of a mobile device? 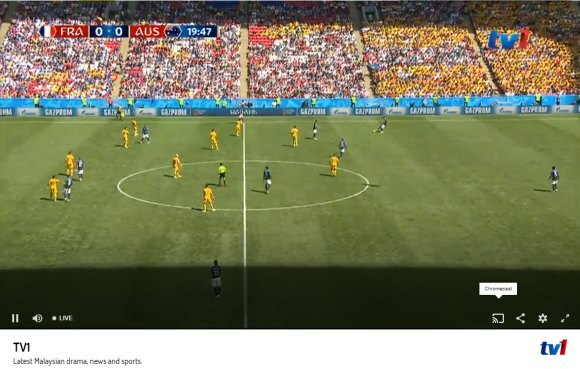 If you have a Google Chromecast or an Android TV box at home, here’s how to enjoy live matches legally on your TV for free. To start watching, just open TV1 or TV2 from RTM’s MyKlik website. On the bottom right of the video, you’ll find a cast icon which enables you to watch it on a TV with Google Chromecast. There’s no registration required and all you’ll need is a good WiFi connection. The casting method via MyKlik currently works on an Android device or a PC with a chrome browser as shown above. Unfortunately, the Chromecast icon isn’t available on Safari and Chrome browsers for iOS. 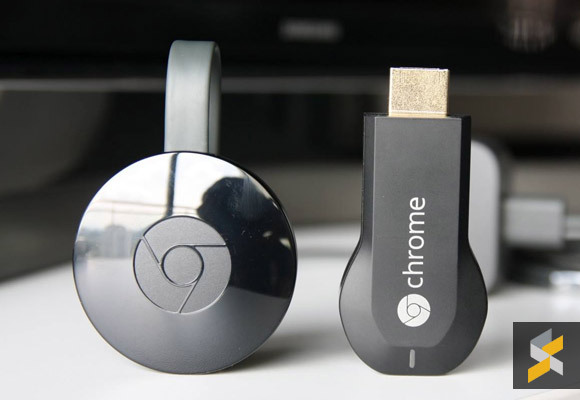 If you’re new to Google Chromecast, it is a small little dongle that can turn any TV with an HDMI port into a “Smart TV”. It connects via WiFi and any smartphone on the same network can cast various video content including YouTube, Netflix and iFlix on the big screen. Your smartphone acts as the remote control and you can start casting by tapping on the Chromecast icon if it’s available. At the moment, you can get the 2nd generation Chromecast at RM185 from Lazada. It is quite easy to set up. Just plug it into your TV’s HDMI port and you can power it with the provided USB adapter or through your TV’s spare USB port (5V1A output). To recap, RTM will broadcast 41 out of 64 World Cup matches and this is made possible with the sponsorship from Maxis and AirAsia. If you’re on the move, you can also watch it for free on your smartphone. For Maxis/Hotlink customers, you can watch all 64 matches at RM1/match on Astro Go with free data for streaming. Below is the World Cup schedule for Group Stages from Star2.